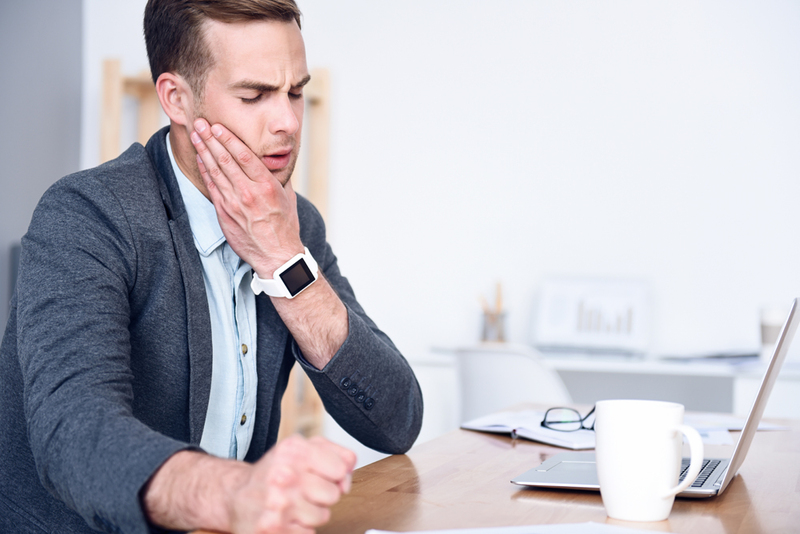 Temporomandibular joint disorder (TMJ) is a common jaw problem that is notoriously hard to treat—unless you focus on the source. The TMJ joint works like a hinge that moves your jaws. TMJ disorder is typically caused by musculoskeletal issues, misaligned bones and/or tightly clenched muscles. Our Thornton chiropractors are experts in natural treatment for musculoskeletal problems and can help with TMJ pain. We may help you eliminate or reduce pain medications you’re currently taking for the joint problem. Pain in facial areas or ears, including earaches. Popping noises when you chew or open your jaw. Displaced jaw, or jaw stuck open or closed. Patients often see a dentist for TMJ treatment and may receive an appliance to keep them from clenching the teeth at night. Some patients have trouble getting proper sleep with the appliance, however. In addition, you may be given exercises to retrain your jaw muscles. You may also be instructed to avoid pain by changing to a softer diet. None of these treatments are ideal. Cold Laser Therapy: Relieving tension from your jaw, and reducing inflammation, generally results in prompt TMJ pain relief, so we may begin with this comfortable and non-invasive low-level laser treatment. Chiropractic Manipulation and Adjustment: Our chiropractor will gently restore your jaws to proper alignment, so that you can open your jaws smoothly, without pain. Spinal Decompression: Chiropractic adjustments in areas of the upper spine and shoulders can also help to loosen overly tight or stressed muscles. Muscle spasms in the jaw can lead to a shifting of your jaw bones that causes TMJ. Physical Therapy: Exercises to improve jaw function. Lifestyle Changes: We will help you learn to relax your jaw muscles and help you to stop teeth grinding. Teeth grinding can be due to mental or physical stress, so we may suggest massage and related treatment to reduce and help you manage your stress. Our chiropractor in Thornton and Aurora focuses on realigning the joints of your jaw, so the jaws work properly. We also concentrate on relieving jaw muscle tension. This way you can obtain relief, sleep well and still eat what you like, without jaw pain or clicking. Don't let jaw pain rule your life. Your chiropractor in Thornton offers natural treatment and pain relief. Schedule an appointment by calling Synergy Health Partners at 720-410-5237 today.